HomeStuffsNoragami Manga – Detail and Review	No ratings yet. 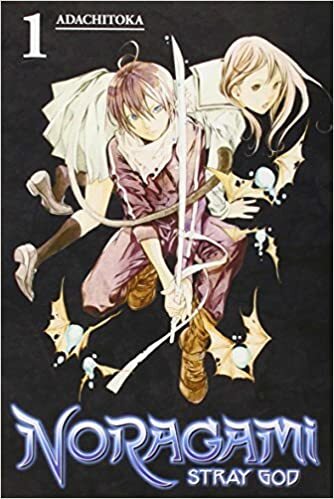 Noragami Manga – A great manga may be very tricky to find these days, specifically one which keeps you turning the pages without stopping. Top quality manga has become rare and those with good solid plots, balanced humor and angst and fantastic artwork even rarer. Noragami can be one that brings of all of these amazingly. 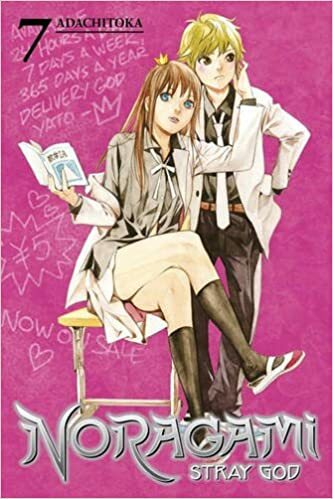 Noragami is a Japanese manga series written and illustrated by Adachitoka which was published by Kodansha in Japan since December 2010, and by Kodansha Comic USA in North America. Noragami manga has become the 14th top selling manga in Japan during the first half of 2014. The anime adaptation was produced by Bones and began airing in Japan on January 2014. Both manga and anime have gained popularity among anime lovers. Yato is a stray, minor and homeless god. He doesn’t even have a shrine, as well as worshipers! In order to achieve his ambitious goals, he is set up a service to aid people in need for a small fee, hoping he will eventually raise enough money to build temple to fulfill his dream. Not surprisingly, he can not afford to be picky, so Yato takes numerous jobs, from finding lost cats to helping students overcome bullies at school. 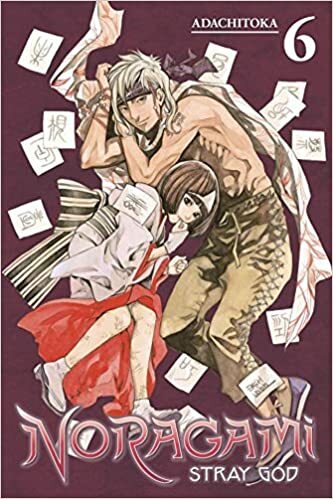 Wonderful artwork, well-drawn characters, a lot of laughs, and unique take on the underdog in a shounen type, the first volume of Noragami manga can be fantastic. 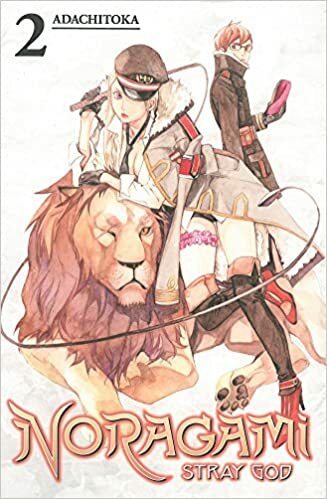 The book provides some fight scenes and demons called ayakashi, a lot of comedy and so far, excellent characters who are both interesting and annoying at the same time. You can find several swearing, some flashing under the ladies’ clothes, and fighting. This is an enjoyable and a great first volume that included a lot of story. Here are the 10 most popular Noragami characters on internet. 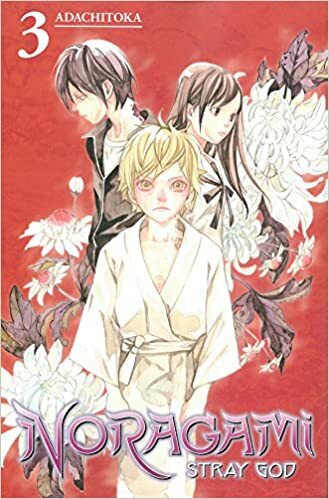 The stray god Yato has changed Hiyori Iki, a regular and martial-art-loving high school girl, into a half-ayakashi. Hiyori then using Yato’s service to turn herself back to normal but can Hiyori only rely on the spontaneous and careless Yato to do his job appropriately? What’s even more, one of the strongest warrior god Bishamon has sworn revenge on Yato! The artwork is beautiful! The author has an eye that makes me want eat up the images… Oops! The characters come in proportion and simply drawn – they seem like real persons, but still fantastic. This second volume of Noragami manga is just as good. More new characters are showed up to maintain things fun and interesting. it’s a little bit strange that Bishamon, one of the strongest warrior god, wearing such revealing outfits, but it’s okay… it’s a manga after all. And Kazuma, one of Bishamon’s shinki is very moe! The main character in this volume has such a real looking mix of good and bad traits. He is so human, even though he is a god. Well, this can be a wonderful series and I would highly recommend it. If you want to cosplay as main character Yato in the next event, we have an advice for you how to make Noragami cosplay! After near catastrophe with Bishamon, Yato takes Yukine and retreats. Hiyori realizes Yato in bad condition as his blight reaches a critical level. Yukine continues to torture his master with his negative habit, which causes the blight to get worse and even threaten Yato’s life. Hiyori tries to find someone to help Yato desperately. Can some of Yato’s several friends save him? Does the minor and stray god even have friends? It’s slightly slow in the beginning, as we develop Hiyori’s feeling for Yato. Things get a bit of complicated regarding the stray. Hiyori may be my favorite character, even though Kofuku is type of lovely. Then the mess between Yukine and Yato finally get resolved. Yukine is just an edgy, foolish kid who doesn’t want to be dead. I love this volume and this is one of the best arc. It’s so under-appreciated. The characters are endearing, the plot is exciting and will keep twisting, and it is got all the feels you could imagine! It is goofy and upbeat with the ideal amount of drama. Yato is friendly and dorky. Hiyori is feisty and will keep Yato in line. Overall, it is just a wonderful manga. Although the strongest warrior goddess, Bishamon suffers from taking on a lot of shinki. Among Bishamon’s many shinki, an awful plan is formed by one of her most relied on aides. This shinki has damaging ideas and gets involved with the strange Stray. Kazuma has a feeling that something is bad, but can find out what exactly is happening? Meanwhile, Hiyori seriously wants Yato to fix her, but he’s given a solution that’s hard to accept. Will Yato fix Hiyori, even though it means he’d ought to cut all ties with her? We find some more of Yato and Hiyori here, see that Yukine is performing better and working after previous volume. Yato is attempting to push Hiyori away, because human being close with Gods and ayakashi is not oggd, and they ultimately forget about them as time passes. I love the development here, how they are all kind of wondering and aware, but none of them want it to happen. 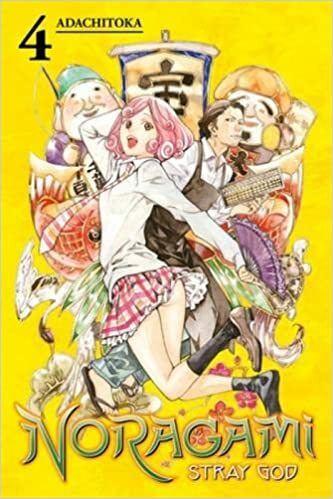 I moreover love Kofuku, she is so sweet and confident, and just wonderful. 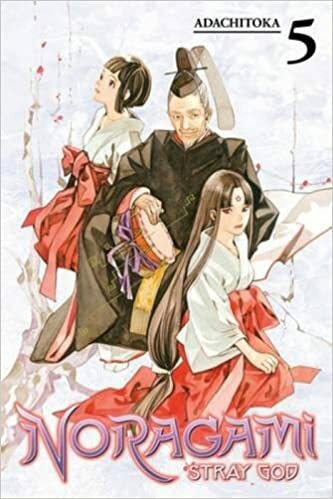 But… this volume may be very different because it moves focus to Bishamonten and her daily struggles, furhter developing her character so that she’s much more than just the bad guy we have been presented to so far. Yato showed up but he doesn’t have a lot of part in the plot, no cases to work on, nor some of his standard humor. In truth, the humor from the previous volumes fully gone in this one. The fed between Yato and Bishamon continues! Yukine mistakenly steps in the midst of it, what Kazuma did for Yato gets unveiled to Bishamon. Kugaha is doing work behind the scenes to trigger more tension between them, and results in a lot of hassle for everyone, and it works. This manga continues to give! The evil behind Bishamon is at work and the ultimate showwdown between Yato and her takes in close. We discover the story behind the hatred she has for him and where loyalties are lying. Excellent plotting and thrilling coming this far in the story but the ending… so definitely devastating if what seems to be happen truly really happens. I personally feel bad for Kazuma and Yukine. They’re just caught in the middle, when they shouldn’t be. It is also unveiled what occurred between Yato and Bishamon in the beginning, what triggered this massive rift, and it is bad. It is easy to understand from both sides, and thanks to Kugaha, and the pain that Bishamon is in, things are exploding. It is bad. An awesome volume which brings the full current arc to a close. A lot of horrible fighting and all the truths ultimately come out. I truly didn’t hope things to play out the way they did and I am being all sad for certain reason. The battle between Yato and Bishamon keeps for a while, and it is bad. She loses many her shinki, but I believe she’s much better in the end. i love the manner she cares for her people, and the way she starts being sincere with them, creating an open back and forth connection with them all. It’s the beginning of a much deeper bond. I liked how she managed her relationship with Kugaha, really suitable, along with the one with Kazuma. Those were done well. This is the ending of the Bishamon arc, and it truly comes with great closing for the arc. The plot is well-written, and the next arc actually leaves you in a cliff hanger. Noragami volume 7 is somewhat more light-hearted than the previous one, but still attracts at your heartstrings, too. We find some good new characters and new questons that I am truly looking forward to discovering more about. Also, as constantly, there is several wonderful interactions between Yato, Hiyori, and Yukine, along with the other gods and shinki. This volume is mainly characters driven and deals with personality. Some characters have found their true identities, or selves, at least they look like doing so: Yato, Yukine and Hiyori. A strange factor is added tot he plot which meanders along until the ending where an fascinating and shocking reveal leaves us confused as to the meaning. This is a superb story. The story and character development are excellent. A very good balance of humor and drama. For people worried about sexual content I’d say it’s just a bit suggestive, a stray p*nty shot occasionally as a joke, but is in today way a normal. It can be a fantastic to read a manga that doesn’t have a hefty focus on fan-service. Adachitoka is very skilled and ought to implement such cheap devices to hold people keen on his story. As a fan, maybe you won’t read the manga alone, right? So, we have decided to make an article about the best Noragami merchandise on amazon. We sure you will find great stuffs there!